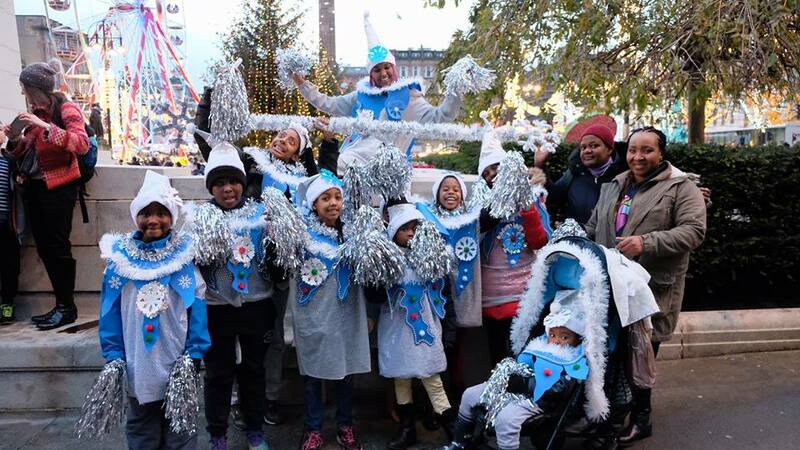 Project X Young People joined Style Mile Winter Carnival in Limbo festive style. Limbo originating from Trinidad and Tobago dating back to the 1800s. The origins from how the movement of Limbo was created has a sad history. Slaves would cross from one side of ship to the other in very narrow and low spaces to see loved ones. Contorting their bodies to get through. Limbo went on to representing the passing over to the after life, which would be performed as a dance ritual during funerals. Limbo became popularised in 1950s by calypso music coming from Jamaica and Julia Edwards known as First Lady of Limbo bringing a joyous celebratory feel to the dance. We thought this a perfect choice of dance to reflect on the traumas our ancestors lived whilst looking at how Limbo has been adopted globally filling people with joy. This project is small act to not forget the origins of such a well known dance. A big thank you to The Community Flat in Cardonald for hosting us during our costume making in preparation for the carnival. Such a welcoming and loving space for the community.